On the 8th March we reported that the story of double agent Sergei Skripal was not what it seemed at first sight. We reported that there was a major difference between Alexander Litvinenko and Sergei Skripal, which is not being reflected in the media. Skripal is a traitor, a double agent who sold the identities of hundreds of Russian agents abroad to the UK, in exchange for hard cash. He is even a traitor to Britain. He may very well have caused the deaths of some of those Russian agents operating in conflict zones. Skripal had many, many enemies. We also reported unlike the mainstream media (at the time) that Nerve agents including Sarin and VX are manufactured by the British Government in Porton Down, just 8 miles from where Sergei Skripal was attacked with a so-called Novichok. On 12th March we exposed what Skripal did for a living with confirmation from a former Russian intelligence officer who now lives in exile in Britain. He said Skripal was still working with Russian military intelligence. In 2002 Tony Blair and his government was looking for a valid reason to join with the United States to invade Saddam Hussein’s Iraq. An intelligence report published No. 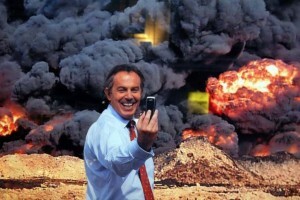 10’s full approval stated that Iraq had weapons of mass destruction which posed a clear and present danger to the West. The report headlined the claim that Iraq could deploy and activate chemical weapons within 45 minutes of an order being given. The result, Britain went to war in March 2003 with the general public and the rest of parliament hoodwinked. The document was eventually called “the dodgy dossier” or “September Dossier.” After the war, nobody ever found any weapons of mass destruction. It then became obvious that the war and its terrible consequences that included a million Iraqi casualties had been justified by a government whose prime minister, Tony Blair was prepared to do anything for his own aims regardless. Fast forward to August 2013 – MPs reject UK military action against Syrian President Bashar al-Assad’s government to deter the use of chemical weapons. David Cameron said he would respect the defeat of a government motion by 285-272, ruling out joining US-led strikes. And then didn’t. The MoD admitted UK personnel were already carrying out Syrian bombings, despite Parliament not authorising action. November 2015: David Cameron has signalled he will ask MPs to approve Britain launching air strikes on Isis targets in Syria by Christmas. George Osborne confirmed that the cost of extending air strikes against Islamic State into Syria would run in the “low tens of millions of pounds”. It has since spent nearly £2billion of taxpayers money who have not given a mandate for more war in the Middle East. Search the Internet and poll after poll reveals that the British public are not in favour of more conflict in the Middle East. Washington (CNN) March 13: America’s top military officer, Gen. Joseph Dunford, spoke with his Russian counterpart Gen. Valery Gerasimov, on Tuesday, the same day Gerasimov threatened to target US forces in Syria should they retaliate against the regime’s use of chemical weapons. Gerasimov warned the US against any retaliatory strikes over Syria’s chemical weapons use, claiming that anti-regime rebels were planning to stage a regime chemical weapons attack and saying any US strike against Damascus would threaten Russian troops. Will the US and Israel attack Syria together? The Kuwaiti daily Al-Jarida on Saturday reported that the US and Israel are working on a plan to attack Syria. According to the report, Jerusalem and Washington are disappointed in Russia’s involvement. Sources close to Washington told Al-Jarida that the Trump administration may present such an attack as a response to claims of Syrian President Bashar al-Assad’s recent use of chemical weapons. Israel have grown weary of the Syrian conflict. They see Iran and Russia as a threat. America is weary of the Syrian conflict. Donald Trump wants this conflict over as soon as. The war in Syria has been raging now for seven years with no end in sight. With Iran and Russia supported by China essentially fighting the US led coalition forces, the tension has now reached boiling point and with so many international forces operating in such close proximity, the danger now exists that any mistake could trigger a larger conflict outside Syria. A final push to end the conflict begins a very dangerous stage. Allies on both sides have been called to arms. Knowing that David Cameron failed to obtain parliamentary approval for yet more war in Syria, Theresa May needs to provide the reason for entering the fray with none other than – a Donald Trump who has Britain over a barrel with a trade deal. In the meantime, Theresa May herself is in big trouble back home. Our report just two days ago “The emerging picture of a desperate government” highlighted how a desperate government was at work to save itself from a chaotic implosion. We said – The evidence that Novichok can only be from a state laboratory is false. Just like Tony Blair’s dodgy dossier, Novichok is not what the government is telling us. Theresa May’s government is in chaos, over a barrel with America, whilst Brexit negotiations with the EU27 go from dire to disastrous. We said that given that the Organisation for the Prohibition of Chemical Weapons has taken the view the evidence for the existence of “Novichoks” is dubious, if the UK actually has a sample of one it is extremely important the UK presents that sample to the them. Indeed the UK has a binding treaty obligation to present that sample to OPCW. Russia has – unreported by the corporate media – entered a demand at the OPCW that Britain submit a sample of the Salisbury material for international analysis. Yet Britain refuses to submit it to the OPCW. Why? Because if indeed it was in possession of that sample – it would have been presented as irrefutable proof. In the meantime, just three weeks ago Reuters reported that “Britain would consider joining U.S. military strikes against the Syrian government” as did all the other corporate news outlets. Is Britain off to war to save the government from all sorts of disasters back at home? 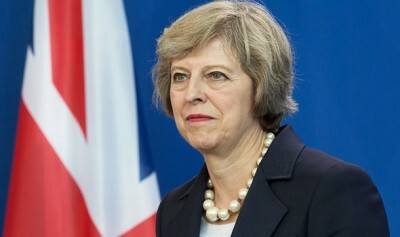 Challenging a Prime Minister in the midst of an international conflict is always difficult – just look at the vitriol thrown at Jeremy Corbyn for doing so yesterday – who was proved right in the face of the same accusations with Blair. Lastly, some let’s not forget some awful facts and figures about the disaster in Syria. 400,000 civilians are trapped in opposition-held suburbs of Syria’s capital Damascus.